In episode 102 of One On One With Mitch Lafon, Mitch is joined by American Rock Icon George Thorogood who discusses his upcoming tour with Brian Setzer, his love of Montreal, opening for the Rolling Stones in the early '80s, his storied career and more. Also, SLAUGHTER's Mark Slaughter joins Mitch to talk about his new killer solo rock album 'Reflections In A Rear View Mirror', looks back at his days with the Vinnie Vincent Invasion, talks about his special bond with Slaughter bassist Dana Strum, Slaughter's upcoming summer tour, taking care of his voice as he agesand much more. This episode is co-hosted by former GUNS 'N ROSES manager, Doug Goldstein. (speaking of his solo album comapred to a Slaughter album) "You still have to be what people expect you to be." "I didn't want to do the Mark Slaughter Polka record." 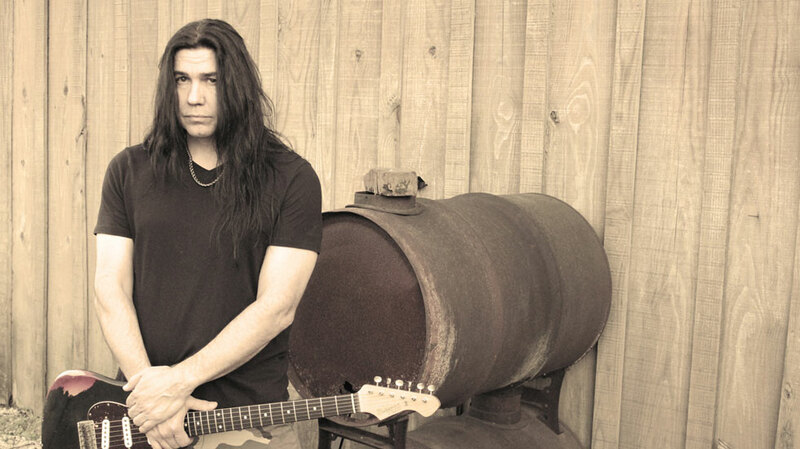 Mark Slaughter, lead singer of the multi-platinum band Slaughter, is in the studio recording a collection of songs that he wrote for his first-ever upcoming solo release. With the chance to work with legendary producer Michael Wagener at the helm mixing and masterging the record, Mark is playing all instruments on the album with the exception of drummer Mark Goodin. His guitar playing rivals the greats out there and his vocals are spot on with a musical range that is par-excellence. Still in the band Slaughter and continuously touring with his band, Mark had years of music creativity stored up and has now decided it is time to share it with the world! The band Slaughter sold more than five million records worldwide, with numerous Top 30 hits on the Billboard Charts with tunes such as "Fly To the Angels" and "Up All Night.” The band hit the road playing to stadiums and arenas, touring the world with bands such as KISS, Poison, and Ozzy Osbourne, and more. Mark Slaughter was born in Las Vegas, Nevada on the 4th of July, and has worked as a voice-over actor and composes music for television, movies and sports outlets, with credits including music compositions for Fox Sports, along with voice over ventures in productions like Batman Beyond, Bloodsport, and Animaniacs. Slaughter helped co-found a new band, Scrap Metal, which consists of other platinum-selling singers such as Gunnar Nelson (Nelson), Kelly Keagy (Night Ranger) and Eric Martin (Mr. Big). Michael Wagener is a music producer, mixer, and engineer from Hamburg, Germany, best known for his work with many top hard rock and heavy metal bands in the late 1980s. Wagener's works have sold over ninety-four million albums worldwide. Wagener was the original guitarist for the German band Accept. When he turned 18, he was drafted into the German army and was stationed 350 miles away from home. This made it difficult for him to practice with the rest of the band and hence he quit the band. After completing his military service, Wagener began working as an audio engineer in Hamburg in 1972. Through a friendship with singer Don Dokken, Wagener moved to Los Angeles. In 1981 he produced the first Dokken album, and would go on to produce such seminal albums as Skid Row's self-titled debut, which sold five million copies in the US alone. Wagener also mixed Metallica's 1986 classic Master of Puppets. He also engineered the single version of Janet Jackson's "Black Cat," his only pop collaboration. Wagener has produced or mixed platinum selling albums by Mötley Crüe, W.A.S.P., Overkill, Accept, Great White, Stryper, Poison, Keel, Alice Cooper, Extreme, Megadeth, Janet Jackson, Ozzy Osbourne, Dokken, Metallica, White Lion, and Skid Row.